This mother-daughter duo shows us that true BFFs just doesn’t have to be someone from another mother, it definitely can be your own mom as well! While Beyonce’s dad left his job to further his daughter’s career, Beyonce’s mom was working hard at her salon making sure her family was fed. In present times, you can see Tina designing some of Beyonce’s outfits. Beyonce was so supportive and appreciative of her mother’s designs that she teamed up with her to create the clothing line “House of Dereon“. 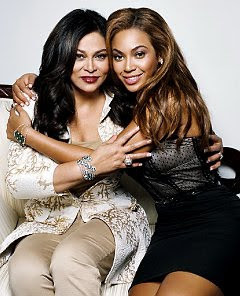 Beyonce is so close with her mother that during an interview with ‘Access Hollywood‘, the glam singer started to get teary eyed! “I trust her. Because whenever there’s something wrong, my mother’s there and she stays up all night to make sure everything’s perfect. I always can depend on her.” says Bey. For more info on Beyonce, visit her official website @ : BeyonceOnline. Got a suggestion for next week’s fave pair of celebrity BFFS? Then drop a line below!